Prominent & Leading Authorized Wholesale Dealer from Hyderabad, we offer industrial cage lift for goods and hydraulic scissor lift. 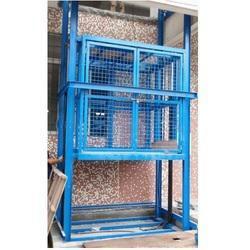 We are a trustyworthy organization offering a wide a gamut of Industrial Cage Lift for Goods. Ground + 1 upto 3 floors available . We have set a benchmark in the industry for wholesaling and trading Hydraulic Scissor Lift, which is impeccable in quality. 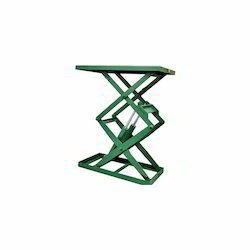 These scissor lifts are used for transferring loads of goods to racks and forklifts. They are effective in eliminating manual work and decreasing the down time in various industries. We are well equipped for handling bulk orders,. owing to our spacious and systematic warehousing. Looking for Hydraulic Scissor Lift ?